Gov. Akinwunmi Ambode, Executive Governor of Lagos state performed the ceremonial launch of the newly acquired boats by the Lagos State Government.. 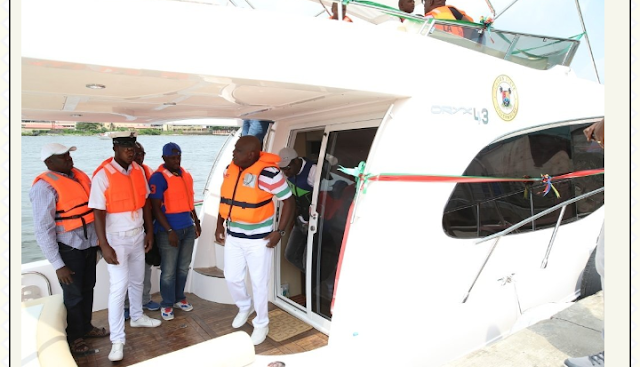 These boats will be for the use of Lagos State officials as we work to increase the use of our waterways for transportation and tourism.